The transshipment volume at the Port of Gdansk is growing rapidly. This causes increased motor traffic and higher demand for parking space. 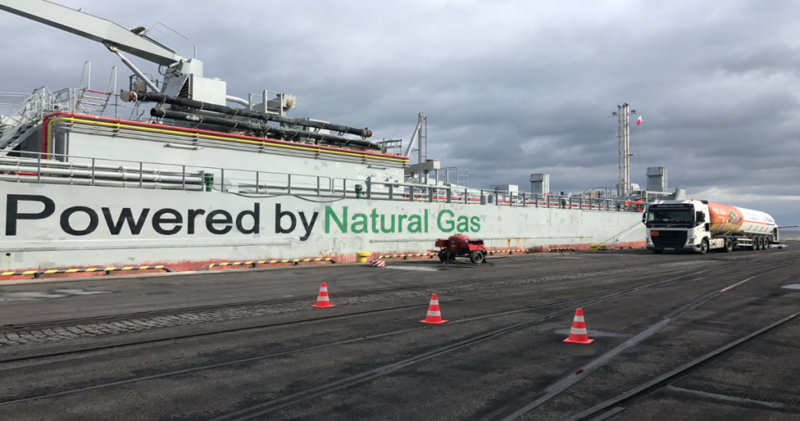 Addressing these challenges, the Port of Gdansk Authority built a buffer car park, which has just been commissioned and put into operation. The fenced in, well-lit, and monitored car park can accommodate 62 heavy goods vehicles. The entrances were equipped with gates controlled by security guards. Until the time the Port Authority implements a uniform HGV pre-advice system, the use of the buffer car park is free of charge and takes place on the basis of electronic pre-advice. The car park offers sanitary and social facilities. There is a waiting room for the drivers, as well as showers and toilets. The sanitary facilities are accessible to people with disabilities. – The buffer car park was created in order to streamline traffic related to the transport of cargo. The MTM company from Gdynia was responsible for the complete execution of the investment. The newly constructed car park will enable better control of vehicle traffic. It will also help our customers save time. Drivers will now be able to wait for the cargo to be loaded or unloaded in convenient conditions within the premises of the Port. 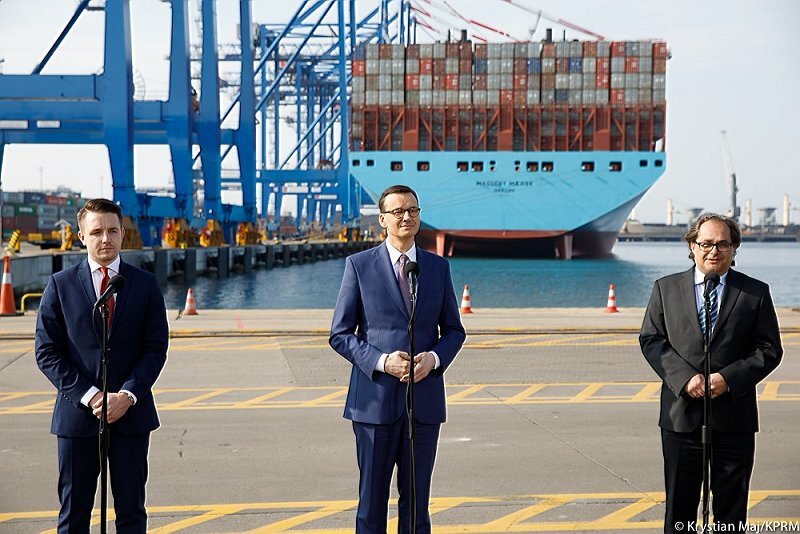 The car park will benefit not only the drivers and the employees of port terminals, but also the residents of the Nowy Port district, as it will eliminate traffic hold-ups at Marynarki Polskiej Street – explains Marcin Osowski, Vice-President of the Board and Director of Infrastructure at the PGA. The cost of the investment amounted to PLN 5.5 million. The construction was funded entirely from the PGA’s own resources. 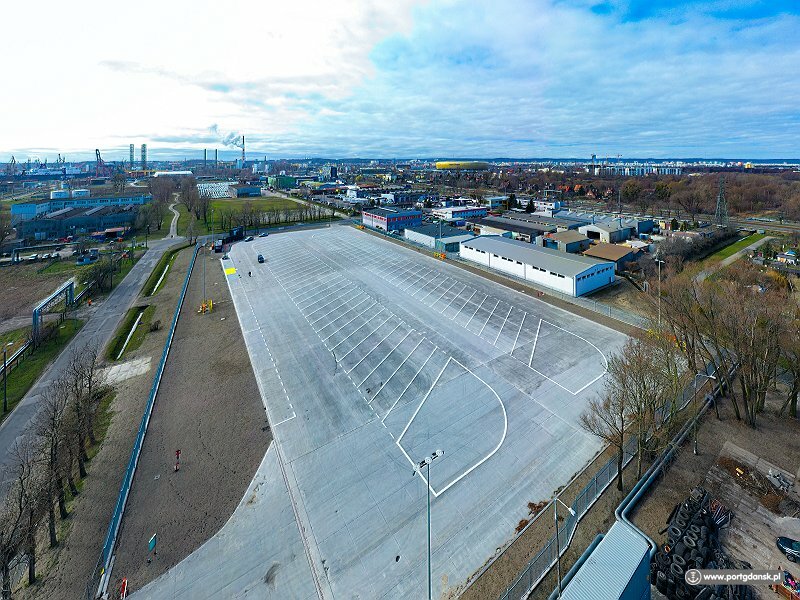 The buffer car park is the first facility within the premises of the Port of Gdansk intended solely for use by heavy goods vehicles providing services to the Port. The Port Authority is planning to build another three. The first one will be constructed in 2020 at Nowa Portowa Street, the other one at Kontenerowa Street, and the last one at Ku Ujsciu Street. They will have the total capacity of 500 parking spaces. – The time of completion was of utmost importance to use, which is why we decided to use the design-build system, which made it possible to commission the car park sooner. 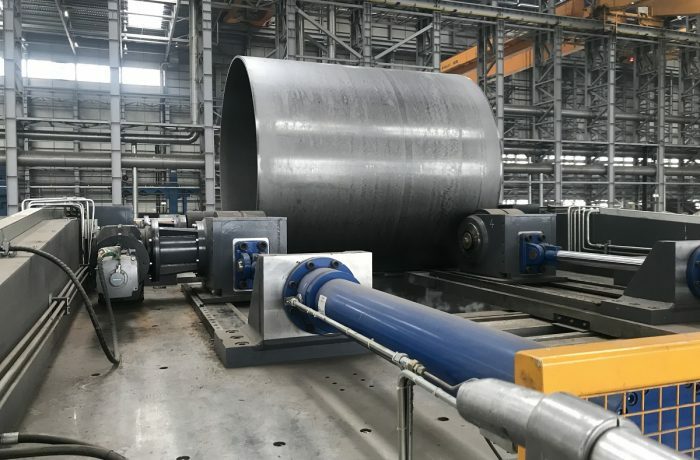 We used the innovative roller-compacted concrete technology, as this type of concrete is more durable and less expensive than the ordinary concrete surface. If it turns out to be a good solution, we will use it for the construction of other new car parks, roads or storage yards – says Sylwia Artichowicz, Director of the Infrastructure Maintenance Department at the PGA.